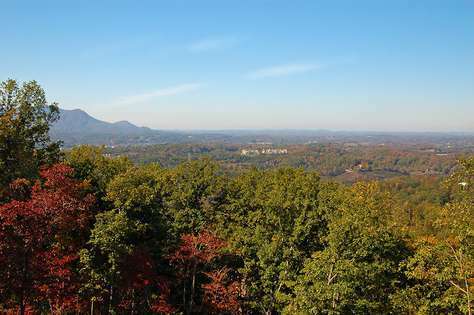 Stunning view overlooking Pigeon Forge and Bluff Mountain in the distance!! 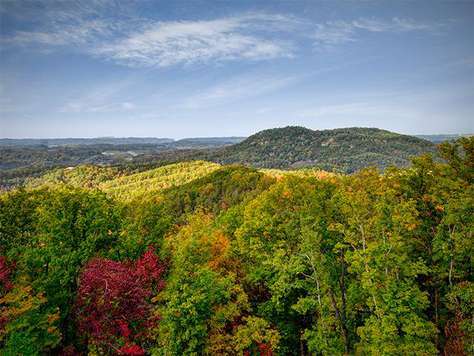 Heavenly View (2)-. Perfect for family of 4! Do you want to get away from it all? 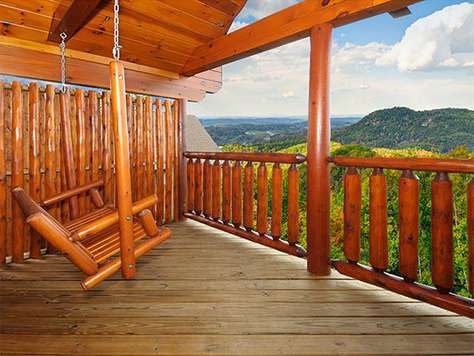 If so then this beautiful cabin offers the perfect escape. 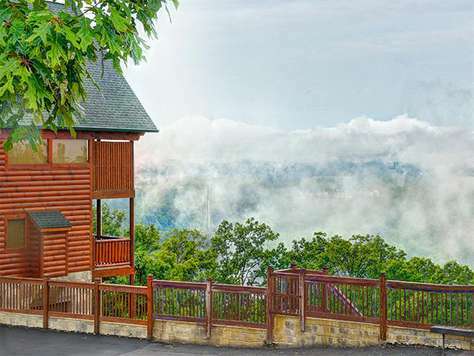 This beautiful cabin sits high above the city of Pigeon Forge and offers excellent views of the city lights below. 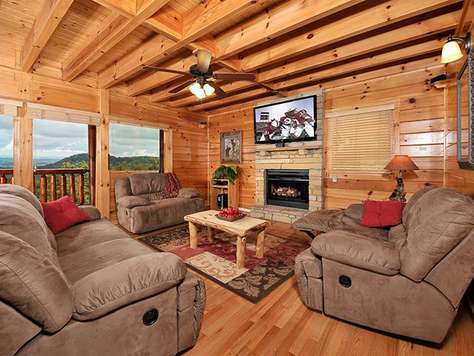 This cabin as a two bedroom is approximately 1,800 square feet. 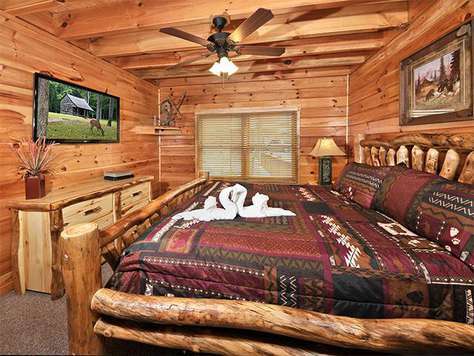 This cabin is furnished with all Aspen Log Furniture. 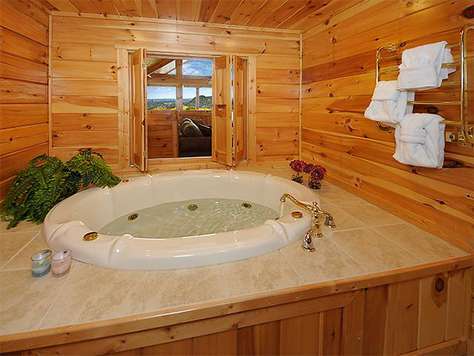 The cabin features a full gourmet kitchen, spacious and comfortable living room with fireplace; king master bedroom with private bath, Jacuzzi tub, private hot tub on the deck, fully stocked game room and more. 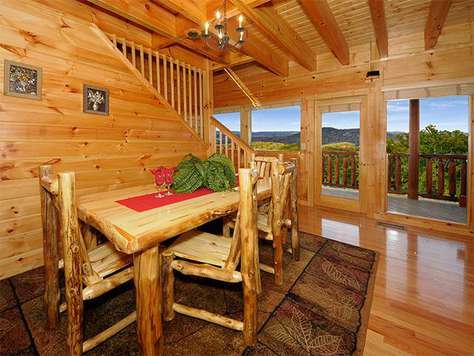 This cabin is the perfect cabin to allow you to get AWAY FROM IT ALL! The cabin was beautifull and extremely clean! The beds were very comfortable ! We had all the comforts of home! The kitchen was well equipped for all our needs and the views were amazing ! We will definatly use outrageous cabins again! 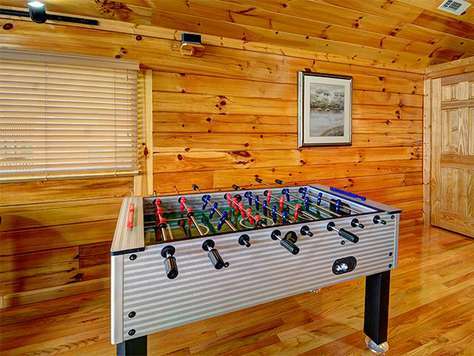 Outrageous Cabins is/are great! We've stayed with them on several occasions now. 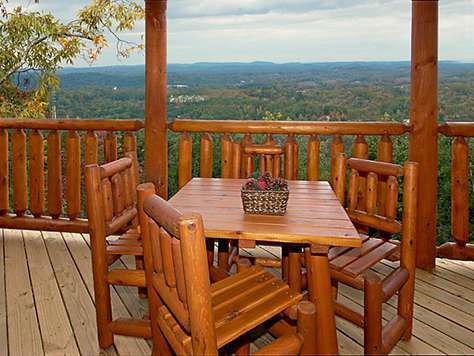 All cabins are beautiful, clean, great views, and perfect peaceful location. Highly recommend!! 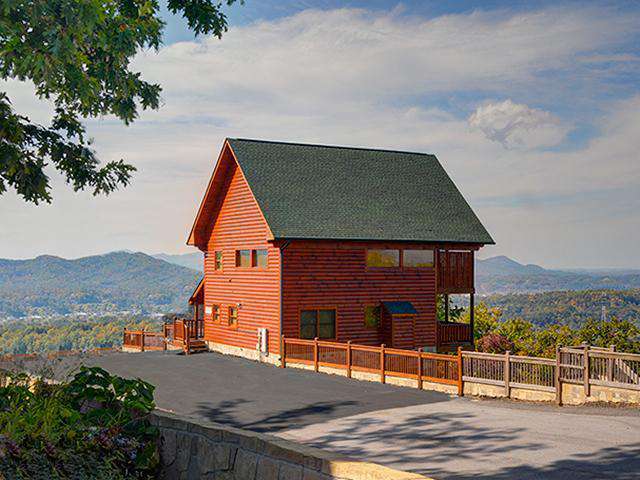 We enjoyed your cabin and our stay in the gorgeous Smoky Mountains. It was exactly as described / pictured on website. 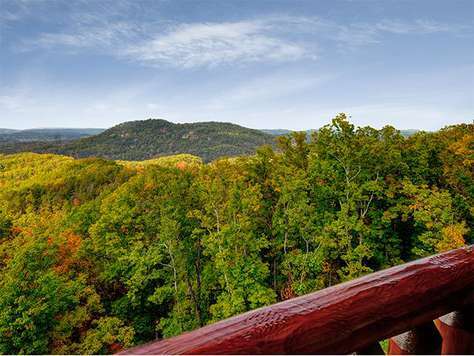 Starr Crest resort is def the best views - most beautiful cabins and we will def be back with our family & friends!! My husband and I just stayed at Heavenly View (2) w/ my sister and her husband (week of 2-24-14) and it was absolutely wonderful. I have stayed at many cabins over the past 10 years and this one was honestly the best one I have ever stayed at. 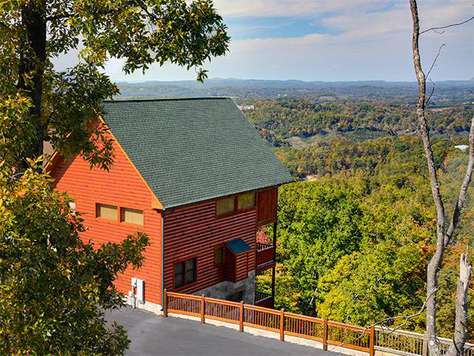 For those who are a little concerned about scary winding roads, this cabin was very easy to get to and is only a hop, skip and a jump from the main road in Pigeon Forge. 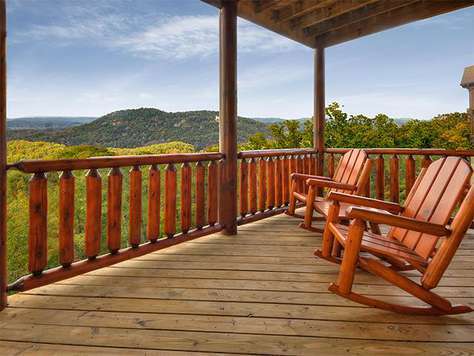 I HIGHLY recommend this cabin! We enjoyed our cabin very much and look forward to visiting again next year. We had a wonderful stay!!!! Our cabin was very neat, clean and decorative. 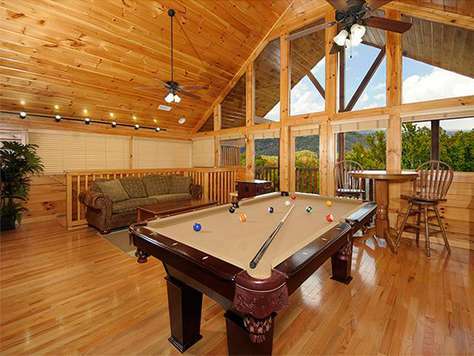 The pool and foosball table along with the arcade game machine kept everyone quite busy. It was hard to talk the family into leaving. 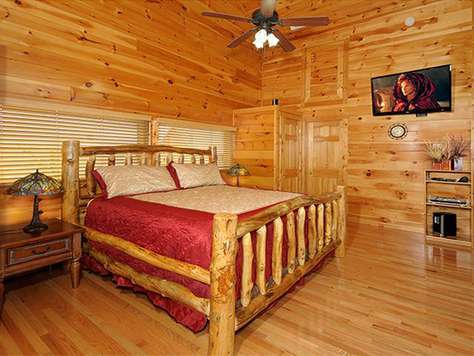 Will definitely utilize the same cabin in the future....Thanks so much..
Another fabulous vacation!! WAY to short!! The best place by far we've ever stayed in!! 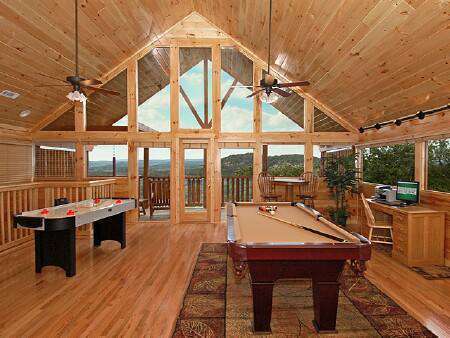 We LOVE outrageous cabins! We had a fabulous time. 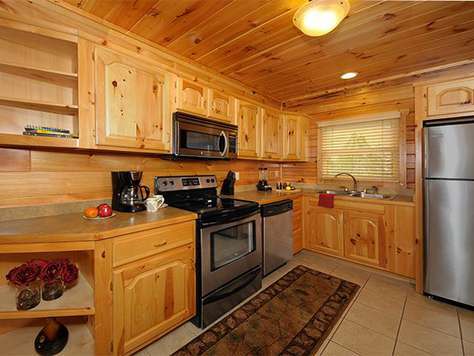 The cabin was beautiful, clean, and very spacious. It looked better than what was pictured on the website. 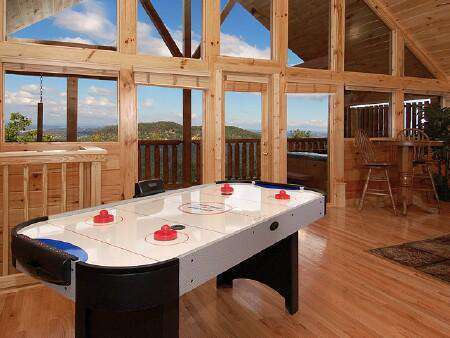 Having the game room up in the loft was perfect. 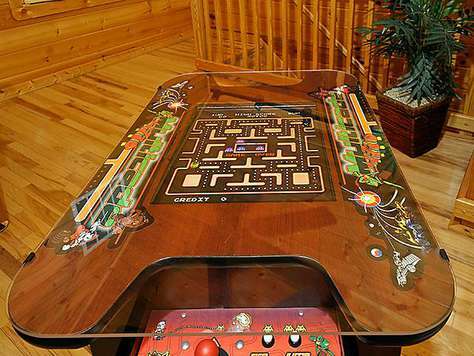 It made down time very enjoyable for adults as well as children. There were plenty of towels. The kitchen was well stocked. 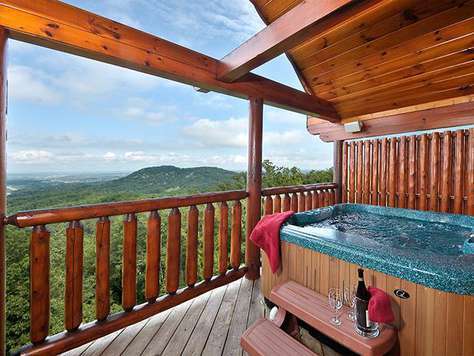 We would definitely stay with Outrageous Cabins again!